According to the Julius Baer lifestyle index, 2018, Singapore ranked second among the costliest cities to live in Asia. 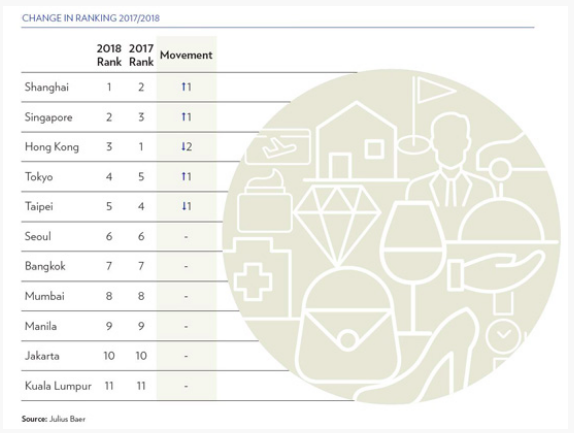 The Julius Baer Lifestyle Index 2018 takes into consideration 22 goods and services across 11 Asian cities, including Hong Kong, Singapore, Shanghai, Mumbai, Taipei, Jakarta, Manila, Seoul, Kuala Lumpur, Bangkok, and Tokyo. The His & Hers Index is a new introduction this year and compares grooming costs for relatively wealthy men and women cost of grooming for wealthy women and men throughout Asia. While the Julius Baer Lifestyle Index maintains its ascendant trajectory since its launch, it undeniably underscores the strength in demand for high-end goods and services in Asia. Influencers that contribute to strong price trends include government efforts to encourage domestic consumption, the attempt by luxury companies at price harmonization and the factor of scarcity. While Shanghai secures the top spot by debunking Hong Kong, Singapore has jumped to the second position. Shanghai is therefore the most expensive city for six interesting items on the index - hospital accommodation, watches, handbags, wine, jewellery and skin creams. It is intriguing how these are the metrics for measuring wealth but when one looks that the price and spending trends of the wealthy classes, it does make sense. Kuala Lumpur remains the most inexpensive city in Asia for residential property and luxury goods and services. 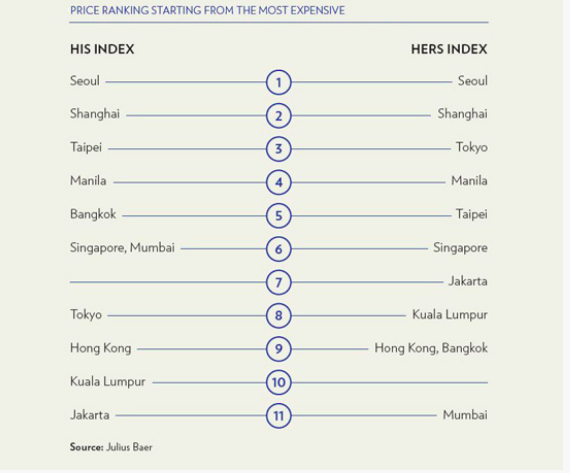 The His&Hers index shows that while Seoul is the most expensive when it comes to both male and female luxury products, Jakarta and Mumbai afford the cheapest offerings. These trends not only signify the wealth distribution across Asia but also point at the local spending trends and how well the present businesses are equipped to handle both high demand and a scarcity of demand. Singapore’s rise in rank also has to do with the increased strength of the Singapore dollar. 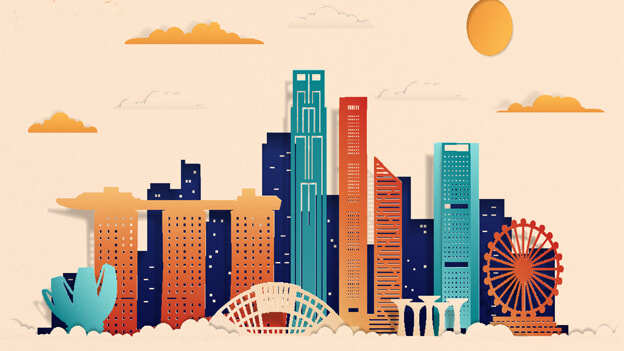 Considering that a big chunk of MNCs have their Asia headquarters in Singapore and thus a large population of expats on local contracts, how will the cost of living in the happening business hub affect the talent landscape? Would it also entail a hike in average salary packages?